It's no secret that art is a dominant theme at THE THIEF. The hotel's common areas are filled with exclusive paintings and installations​, and every room has beendecorated with unique works of art. Bold elegance, with references to contemporary art and design is the common theme throughout our THIEF FURNISHING. Norwegian and international designers such as Antonio Citterio, Jonathan Adler, Bruno Rainaldis, Tom Dixon, Anne Haavind and Stokke Austad are behind our furniture and interior design. THIEF ART is the hotel's collection of art and artistic displays. The hotel has its own art curator, Sune Nordgren, who has hand-picked pieces for the collection by Norwegian and international designers. There are pieces from established and famous artists such as Andy Warhol, and others from young, up-and-coming talents. You're surrounded by art, throughout the hotel – and outside it. Installations, photography and graphic art can be seen throughout the hotel's common areas and rooms, and there are various types of video art on our interactive TV. There's even art in the lifts - by British visual artist, Julian Opie. THIEF ART is also about our surrounding area and neighbours. It's about Tjuvholmen. The internationally acclaimed Astrup Fearnley Museum is the hotel's oldest neighbour, and along with the recently developed sculpture park by the fjord and the islet's other galleries, this is the focal point of Oslo's contemporary art scene. But THE THIEF has other art and design partners, located further out east in Oslo. Our relationship with DogA, the Norwegian Centre for Design and Architecture, adds an exciting interplay between design and architecture to THIEF ART . It's a natural extension of the theme, expressed through our commitment to Norwegian and international design for interiors. 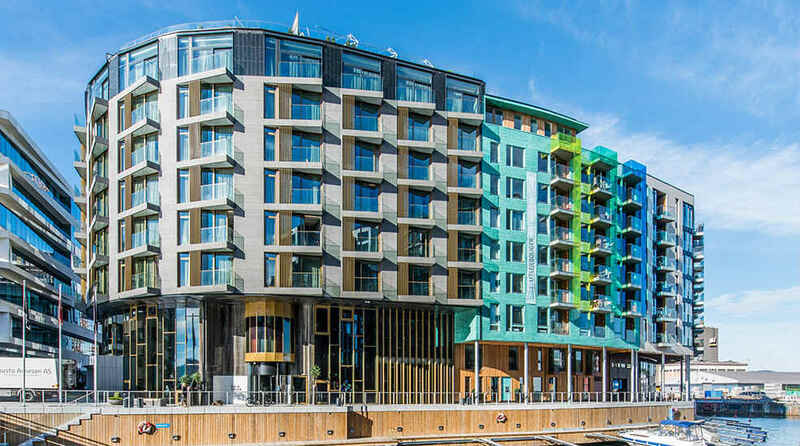 The hotel is located directly opposite the new Astrup Fearnley Museum on Tjuvholmen, and this famous art museum is one of our most important business partners. THE THIEF and Astrup Fearnley have entered into a unique agreement, allowing the hotel to borrow art from the museum's collection and display it strategically throughout the hotel. This partnership has enabled Sune Nordgren to create interesting combinations with some of the best international contemporary art, and design positive, memorable experiences for guests who stay at THE THIEF. And it goes without saying that entrance to the Astrup Fearnely Museum is free for THE THIEF guests.